Sørumsand is the main assembly & test facility for CAPEX projects located in between Oslo and the airport. It consist of 8 000 m2 workshop & assembly area, 1000 m2 warehouse and 1000m2 test bed. The work shop is equipped with balancing machine, lathe and cranes with SWL up to 150 tonnes. The test bed is a state of the art indoor test station in compliance to ISO 9906. It is equipped with load bank, frequency converter, transformers, switchgears and other high and low voltage equipment for testing in compliance with worldwide customer requirements. It also contains test basins with test loop and connection to a 60 m deep hole with 1.8m dia for testing of deep well pump in full length. Eureka’s workshop in Risavika close to the Stavanger airport is the main service facility comprising of 1000 m2 workshop, 300 m2 storage area and 600 m2 offices and a test station. The work shop is fully equipped with tools, machines trucks and cranes with SWL up to 15 tonnes. The machine shop consists of balancing, welding and grinding facilities together with lathe, milling and drilling machines.The test station handles dry mounted and submerged pump units up to 2000 m3/h and up to 500 kW. The Risavika workshop covers all Eureka after market activities in the North Sea. Eureka’s service facility is located at Litlås Industry area just outside the main gate of the Mongstad raffinery, and just a few minutes from the CCB Mongstad Base. The pump service workshop is fully equipped with tools, trucks, cranes and balancing machine for serving all types of pumps. There is also access to fully equipped machine and welding shop. Eureka’s workshop in Kristiansund is a brand new service facility comprising 750 m2 workshop, 200 m3 offices and 250 m2 storage area. The work shop is fully equipped with tools, machines, trucks and cranes with SWL up to 16 tonnes. The machine shop consists of balancing, welding and grinding facilities together with lathe, milling and drilling machines. The Kristiansund workshop covers all Eureka after market activities in the Norwegian Sea. 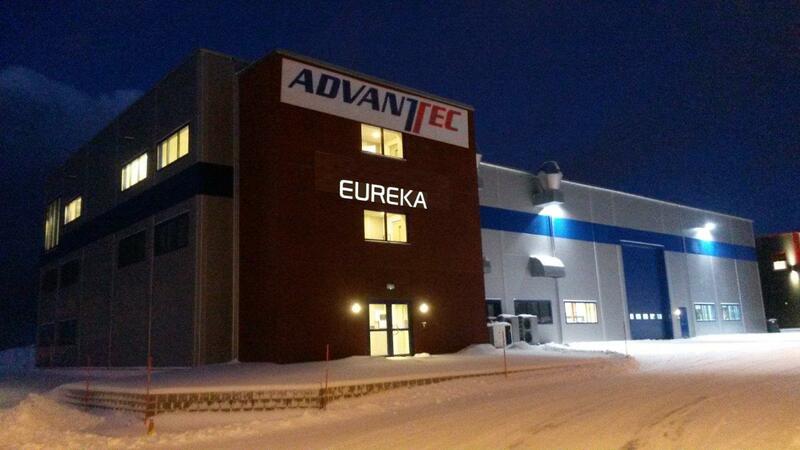 Eureka’s service facility in Hammerfest is located at the doorstep of Polarbase in Rypefjord. The work shop is fully equipped with tools, machines, trucks and cranes with SWL up to 10 tonnes. The machine shop consists of balancing, welding and grinding facilities together with lathe, milling and drilling machines. The Hammerfest workshop covers all Eureka after market activities in the Barents Sea.